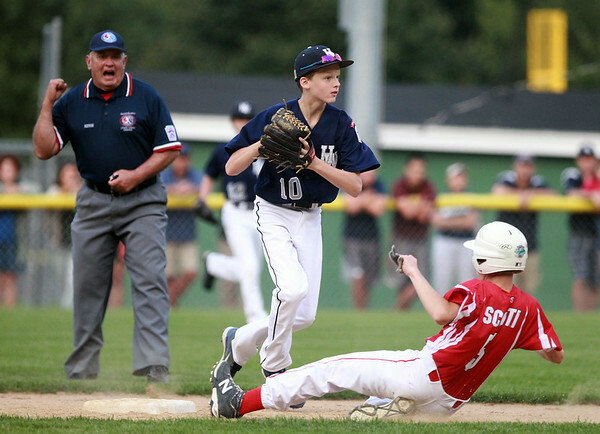 Hamilton-Wenham shortstop Cooper McGrath (10) makes the putout at second on sliding Barnstable runner Wyatt Scotti (5) and looks to complete the double play. The Generals lost to Barnstable 12-1 in a shortened 4 inning contest on Friday evening at Harry Ball Field in Beverly. DAVID LE/Staff photo. 7/25/14.